← And the Grammy goes to…..
Fun fact: I grew up in Mobile, Alabama and we celebrate Mardi Gras every single year. There is actually a lot that people don’t really know about this holiday. When I moved up here I would talk about how I couldn’t wait until I was old enough to go to Mardi Gras. I didn’t realize that the only thing people thought of when I talked about it was New Orleans, Bourbon Street, Parades, and appearances of many body parts that are supposed to stay covered most of the time. In an effort to try to clear the air I wanted to throw out some fun facts for you. Feel free to insert them into any conversation today since it is officially Mardi Gras today. Well, each of these parades is funded, organized and executed by mystic societies or krewes. 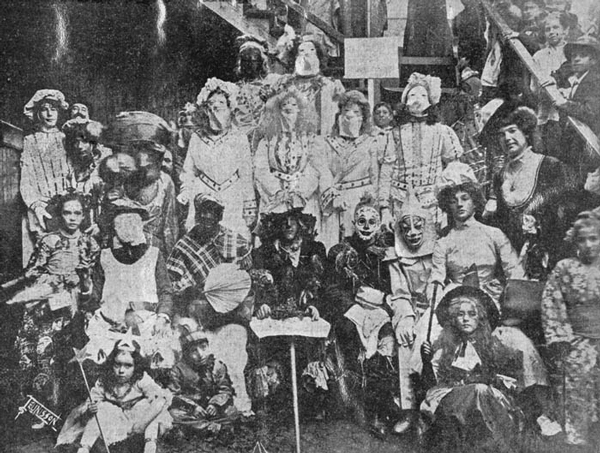 Many of them are still considered secret societies, which explains the goofy masks the riders wear. You see, all of these men on the floats are parading too their society or krewe’s formal ball. Their identities must be kept hidden until they can get to the location of the soiree so they must wear masks. To even further the secrecy of the members identities, a strict dress code is enforced for guests. All men who are not riding in the parade must wear a tuxedo with tails and a white bow tie or Costume de Rigueur. This way one would not be able to distinguish between a guest and an actual member. 3,) Beyond just the parades and the balls, is an intense network of society rigmarole that determines who will be king and queen and the courts. 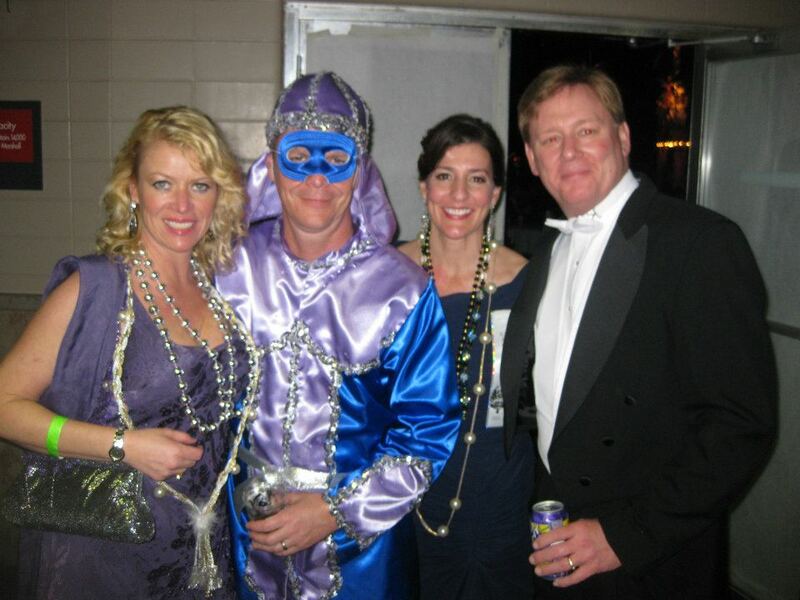 Mardi Gras season actually starts in November, with exclusive parties held by some secret mystic societies and has become closely entwined with the social debutante season. 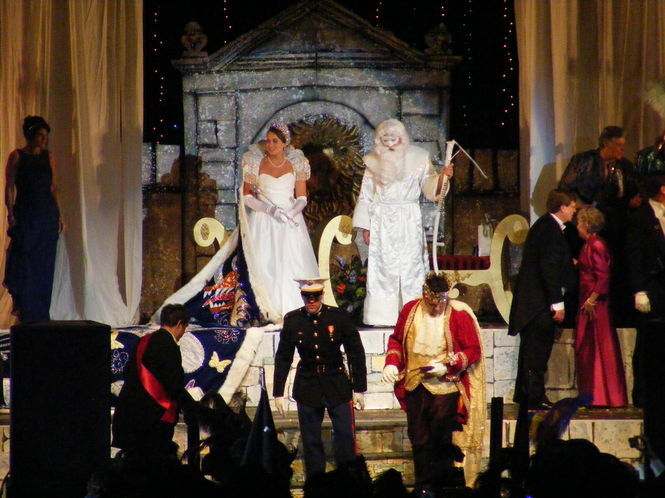 The official start of the season in Mobile is the Camellia Ball which is held during Thanksgiving weekend, then the debutantes and their escorts attend parties from that time forward until they are presented in elaborate court dress on the Saturday before Fat Tuesday to the King and Queen. 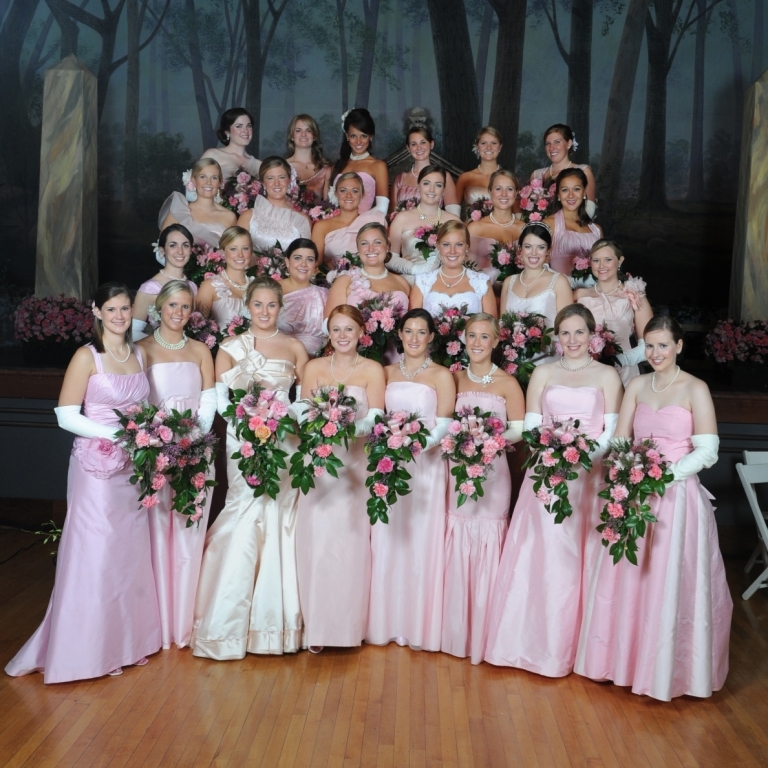 The king and queen as well as the court are picked from the debutante “class” of that year. 4.) 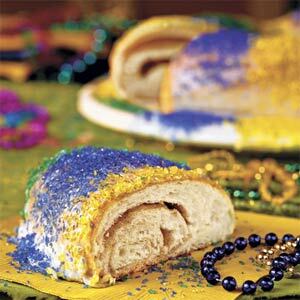 King cake parties are another festivity that is often occurring during the Carnival/Mardi Gras season. 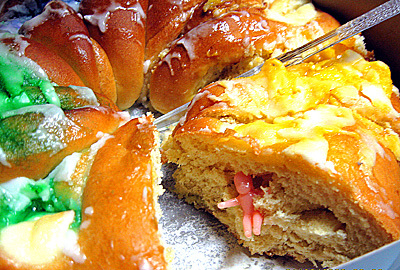 A king cake is like a huge cinnamon roll that is smothered with white icing and sprinkled with yellow, green, and purple sugar. There is also a little plastic baby hidden inside of it. The person who gets the piece of cake with the baby inside of it is Queen or King for the day and they are bestowed with an obligation to host the next king cake party. I have to say, king cake is probably one of my favorite parts of Mardi Gras that is in very close competition to my next favorite thing…. 5.) Moonpies! The Moon Pie became a traditional “throw” (an item thrown from a parade float into the crowd) of Mardi Gras parades in Mobile, Alabama during 1956. These babies have everything you need on a cold winter night, two cookies, stuffed with marshmallow, dipped in chocolate. What. More. Could. One. Want… Seriously. Mobile also went a little over board in its display of moonpie affection in 2008. They raised a 12-foot-tall lighted mechanical moon pie to celebrate the coming of the new year. The giant banana colored MoonPie is raised by a crane to a height of 200 feet as the clock strikes midnight. 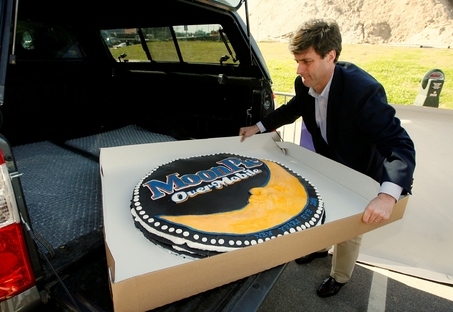 Also, the city had for the 2008 New Year’s celebration the world’s largest moon pie baked for the occasion. It weighed 55 pounds and contained 45,000 calories. Gimme dat moonpie!